Lake Country Log Homes is a family owned and operated Handcrafted and Timber Frame Log Home manufacturer located in Sicamous British Columbia. A Handcrafted Log or Timber Frame Cabin Home built by Lake Country Log Homes surpasses exceptional craftsmanship. Rather than push homes out in the quickest fashion, our staff treats each project like they are building their own home. We know this is true because we put just as much effort and diligence into selecting the men and women who we so proudly welcome into the Lake Country Log Home family as we do do hand selecting each and every premium log. 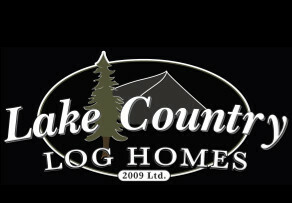 Build with Lake Country Log Homes and you will know you’re in good hands! We will take care of you every step of the way.